My little one is now attending childcare for about 2 months. Since I’ve been in contact with many other mothers while hanging around at my kid’s school, thought I should take this opportunity to share a friend’s experience with Montessori preschool education. I chose Montessori for several reasons. First, my son is a bright, inquisitive child who already had a sound grounding in recognition of his alphabet, numbers, shapes, and colors before he started preschool. I was worried that he might be bored in a more traditional preschool. Montessori’s highly individual program means he is always challenged and interested. In addition, my son is a very active child and the Montessori program gives him lots of opportunity for free play outdoors and indoors as well as more freedom to move about, stand, or even lie on the ground while working on his lessons in the classroom. In my opinion one of Montessori’s great advantages is the fact that the child drives the educational experience. My son’s interests and abilities determine his unique educational program and so his lessons may overlap but are not identical to those of his classmates. This makes him an eager and motivated student. The education program offered by Montessori also includes many advantages. My son’s experience includes the arts, math and science, language, and life skills. He regularly impresses our friends and family with his knowledge of science, sign language, and other areas not traditionally included in preschool programs. Finally, as a parent, I cannot stress enough the benefits that a program like Montessori offers in terms of life skills. All students are expected to be responsible for their own personal hygiene as well as maintenance and cleaning of the classroom and food areas. While support is offered by adults and older children, even young children can learn to clean up after themselves. It has certainly had an impact on my son’s willingness and ability to help out at home. Recently I compared preschool experiences with a friend whose child is completing her second year in what most people consider to be the top preschool program in our community. We compared our children’s skills to the checklist provided by our school district of 60 skills (including cognitive skills, listening and sequencing skills, language skills, fine motor skills, gross motor skills, and social/emotional skills) that will help children transition into kindergarten. My son has all 60 skills while her daughter lacked skills in each of the areas. I recommend every parent at least consider Montessori for their child as it is a child-centered learning approach that can provide an excellent foundation for a child’s future growth and learning. I’m sure many of you have considered sending your child to a school with Montessori program. In my opinion, it’s great for children’s cognitive learning, but ultimately, make sure that your child has sufficient time and chance to interact and socialise with other children. Plus, they must have at least an hour of outdoor activities everyday. If the Montessori program does not include that, parents should find time after their school hours to join other kids for playtime in a natural environment. 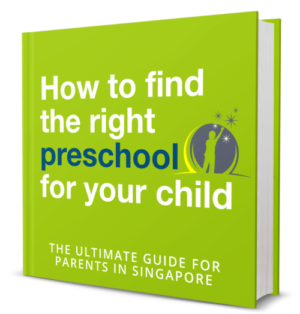 Are you intending to send your kid to a Montessori school? What have you decided on? Let us know in the discussion below.